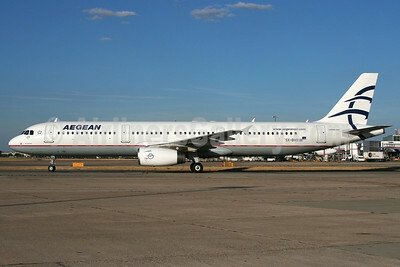 Aegean Airlines (Athens) appears to be finally successful in acquiring rival Olympic Air (3rd) (Athens). Previously on February 22, 2010 the two Greek airlines announced they had agreed to merge. However on January 26, 2011 the European Commission rejected the merger due to anti-competitive concerns. Now Aegean Airlines and the Marfin Investment Group, the owner of Olympic Air, have agreed to a buy-out by Aegean of Olympic Air for €72 million ($93.1 million). Initially the two airlines will be operated as separate brands and airlines but the deal is still subject to the same anti-competitive concerns of the European Commission. Both airlines have been losing money, especially with the austerity measures and EU protests in Greece. 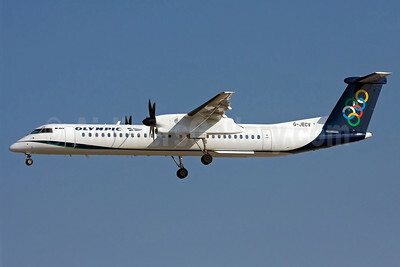 Aegean Airlines and Marfin Investment Group agreed on October 22, 2012 on the sale of 100% of Olympic Air to Aegean. Following the completion of the transaction, Olympic Air will become a subsidiary of the listed Aegean. The brand names and logos of the two companies will be maintained and each will have distinct aircraft and flight staff. The unification of administrative, planning, purchasing and commercial functions will lead to substantial economies of scale, in buying power and elimination of duplicate systems. Fleet usage and network planning will be optimized to improve efficiencies and connectivity while improving coverage and product offer. The deal is subject to approval by the Competition Authorities, a process which will also determine the timing of its execution. The consideration for 100% of Olympic Air has been set at €72 million with payment in installments to MIG by Aegean. The shareholding structure of Aegean is not affected by the transaction. Theodoros Vassilakis, Chairman of Aegean Airlines, commented on the deal: “Aegean Airlines and Olympic Air in recent years have invested $2 billion in a brand new fleet. Their service quality has been recognized with the receipt of numerous industry Awards. The two companies contribute in excess of €270 million to the Greek state revenues in airport taxes, fees, social security contributions. However, our subscale size, combined with the effects of the unprecedented Greek crisis, restrict our ability to successfully compete within the European and Global Aviation market leading us to further losses and further reductions of size and scope. As a result we are faced with the immediate danger of Greek Tourism, an industry essential for the country’s recovery, becoming entirely dependent on foreign carriers with permanent losses in local employment and state revenues. Top Copyright Photo: Wingnut. Airbus A321-231 SX-DVO (msn 3462) is pictured on the ramp at London (Heathrow). Bottom Copyright Photo: Ole Simon. Flybe’s Bombardier DHC-8-402 (Q400) G-JECV (msn 4148), operated for Olympic Air, arrives at Frankfurt. This entry was posted in Aegean Airlines, Olympic Air (3rd) and tagged 3462, 4148, A321, A321200, A321231, Aegean Airlines, Airbus, Airbus A321, Airbus A321200, aviation, Bombardier, Bombardier DHC8, Bombardier DHC8400, Bombardier Q400, DHC8, DHC8400, DHC8402, Flybe, FRA, Frankfurt, GJECV, Heathrow, LHR, London, marfin investment group, Olympic Air, Olympic Air (3rd), Q400, SXDVO, transportation on October 23, 2012 by Bruce Drum.